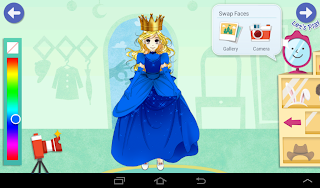 Hope's Cafe: PlayTown Story Time App for Children! 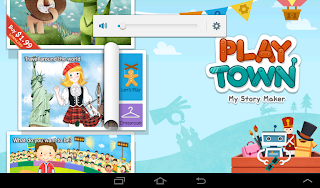 PlayTown Story Time App for Children! I don't often write reviews about apps. 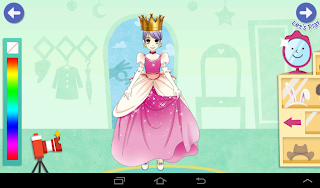 I use a few specific apps on my tablet-my bank, Facebook, etc. and even a few games-chess and Words With Friends, mostly. 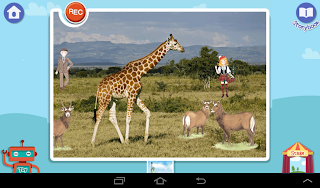 I just don't experiment with new apps and games much, but when I heard about an app for children that allowed them to create their own story, I was interested! 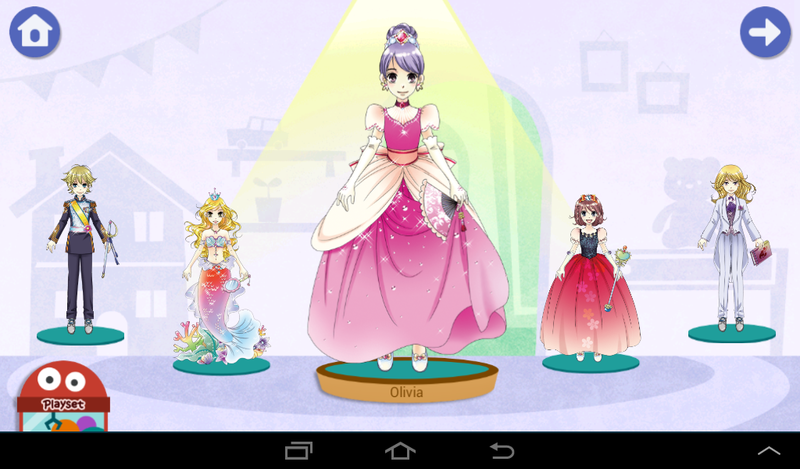 PlayTown Story Time is a very unique app for children ages 3-9, that literally allows them to "write" their own story, using stages, scenes and props from the app. 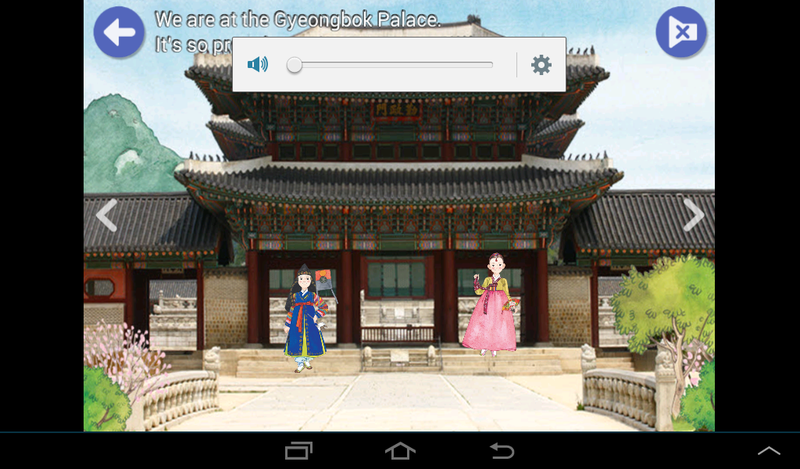 They can record themselves narrating a story, design and decorate the "page" to fit the storyline. Children can even use personal pictures to include in their story book! Of course, once they are done creating their story, the fun doesn't end. They can play back their story over and over again, enjoying it with family and friends. 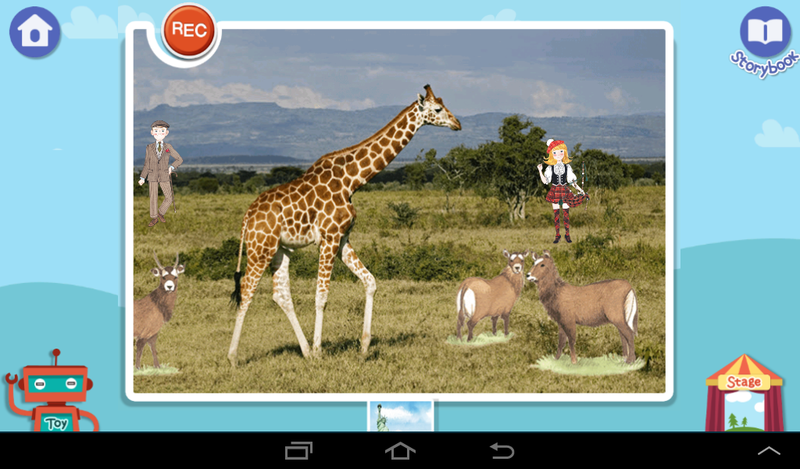 Travel the world with PlayTown Story Time! 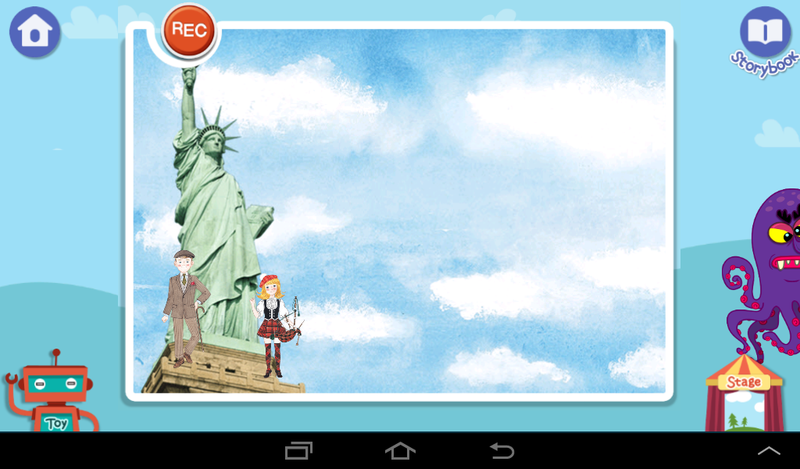 Resize the props and characters to fit the screen! 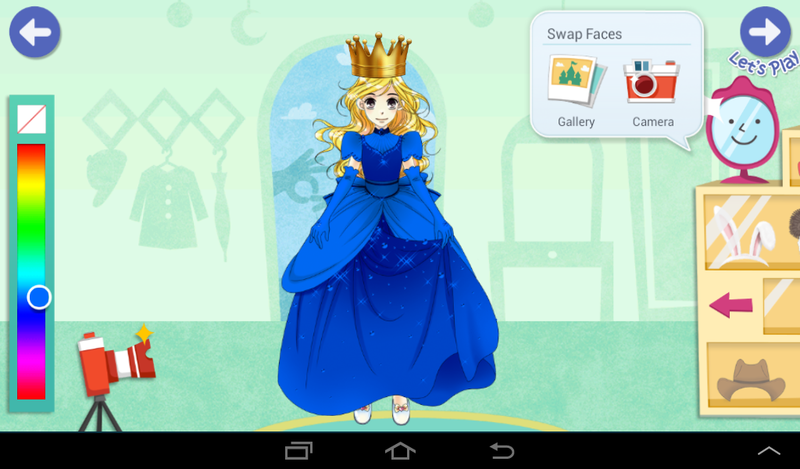 Change the color of the princess' dress! 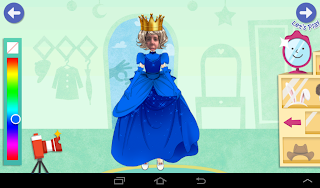 Children can add their face to the story! 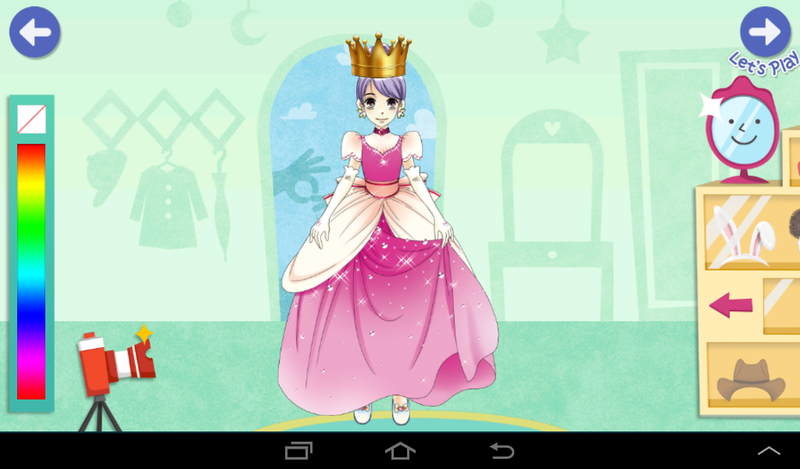 Honestly, I was impressed with how fun this FREE app is. It is right up M's alley; she loves writing stories, and getting to illustrate the story makes it 10 times better! It is a wonderful way to encourage creativity and imagination in children, rather than just the typical mindless games kids play. 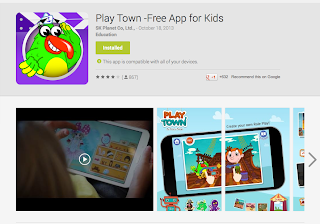 The app is absolutely free, but does offer additional play sets (for more story possibilities) for only $1.99 each. 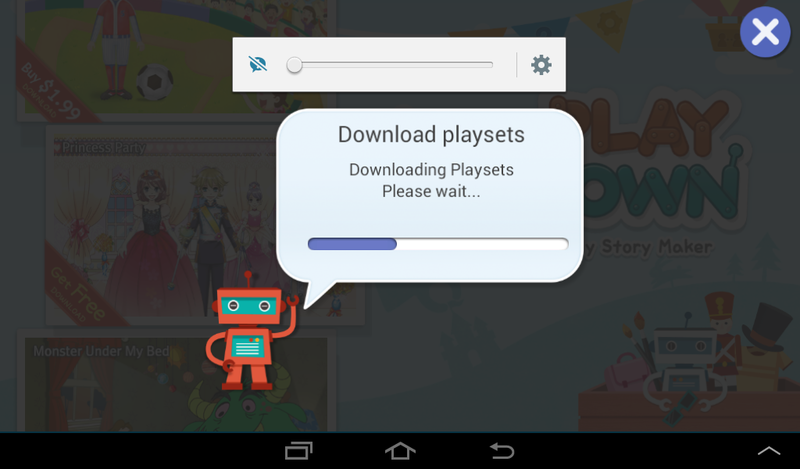 However, the extra sets aren't a necessity-your child will love playing with PlayTown Story Time no matter what! You can download PlayTown Story Time in iTunes or get PlayTown StoryTime in Google Play store, and works equally well on our Android tablet, and Apple iPad. 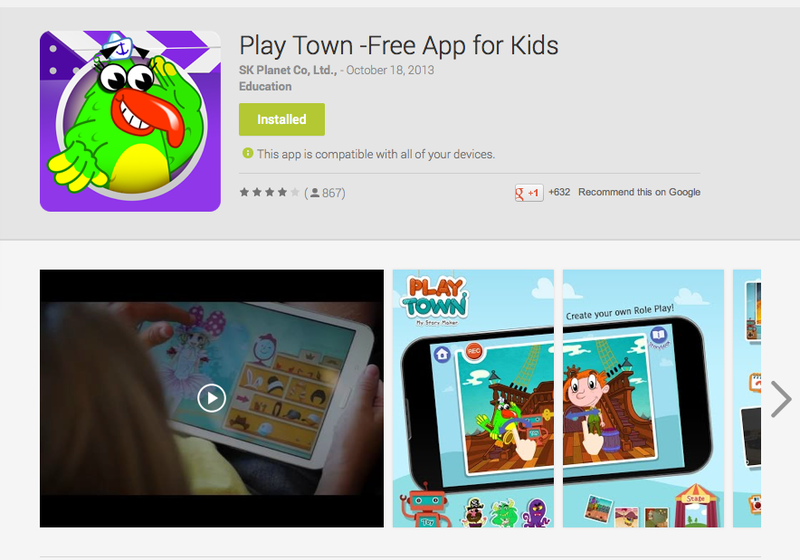 Also be sure to like PlayTown on Facebook, so you can hear about any news or updates! Disclosure: I will be compensated for this review. I was not required to post favorably about the product or company. The opinions are completely my own, based on my personal experience with the product. 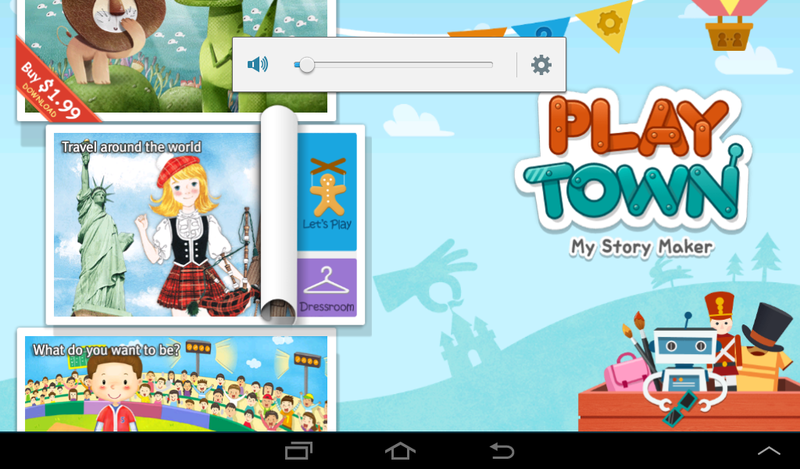 I think PlayTown Story Time is a wonderful ap. Anything that help children use their imagination is a terrific learning tool. I love the princess dresses and would enjoy creating that myself! Gift Shopping at Brilliant Sky Toys!! Final Additions To The Fall Gift Box! I Want An Arby's Smokehouse Brisket Sandwich!! One Stop Shopping at Beauty Stop Online!! Get a Personalized Visa Card from CARD.com! Youthful Skin With Ageless Derma! NEW Real Me Collection from nuNAAT Hair Care! Fall Festival Gift Box #Giveaway! !